Actually, breathing is the Body’s number 1 priority. Postural stability (“not falling on your head”) is number 2. Eating is number 3. If either breathing or postural stability are compromised, eating may be resisted. Eating is only an instinctive drive for the first month of life. From birth to 3-4 months of age, we have a set of primitive motor reflexes (e.g. rooting, sucking, swallowing) which help us eat while we lay down pathways in the brain for voluntary motor control over eating. Between the end of the 5th or 6th months of life, these primitive motor reflexes “drop out” and eating is essentially a learned motor behaviour after 6 months of age. Eating is the MOST complex physical task that human beings do. It is the ONLY human task which requires every one of your organ systems, and requires that all of those systems work correctly. There are actually about 25 steps for typically developing children and 32 steps or more for children with feeding problems. Wearing your food is part of the normal developmental process of learning to eat it. You can learn a great deal about the foods, BEFORE they ever get into your mouth, by touching them and playing with them first. It is “play with a purpose” that teaches a child the “physics of the foods” before the foods ever get into their mouth. Being messy is an important part of learning to eat. This is true for about 94% of children. Appetite often becomes suppressed over time with children who have skill or medical problems with eating, meaning that they don’t respond correctly to appetite as a cue to eat. In order to meet their daily calorie requirements, children would have to eat adult sized meals if they only eat 3 times a day. Given their small stomachs and attention spans, it takes most children 5-6 meals a day to get in enough calories for proper growth and development. Various research studies, indicates that between 65-95% of all children with feeding problems have a combination of behavioural and organic problems. If you start with a physical problem with eating, you are going to quickly learn that eating doesn’t work/hurts and a set of behaviours to avoid the task will become set into place. If you start with a purely behavioural/environmental reason for not eating, your compromised nutritional status or lack of experience will quickly begin to cause organic problems. As such, it is not useful to create a dichotomy in diagnosing or treating feeding problems. Food is food. It is not breakfast food, or lunch food, or dinner food, or snack food, or junk food. Food is either a protein, a carbohydrate or a fruit/vegetable. While some foods do have more nutritional value than others, labelling foods as “good” or “bad” or “only to be eaten at X meal”, is not helpful in teaching children to eat or to have a healthy relationship with food. Actually, eating comes first. Manners come second. Think about the 6-9 month old infant just learning to eat and how messy they get. Especially for children who have not learned to eat well, mealtimes are a Teaching Opportunity and we parents are the Teachers. 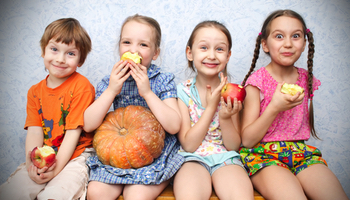 Children eat so much better when their food is engaging, interesting and attractive. They also eat better when mealtime conversations are focused on talking about the food, and when adults are modelling how to eat and teaching the “physics” of food. So go ahead, enjoy your food and the feeding experience with your child! Be noisy, be messy and play with your food! This information is based on the SOS (Sequential-Oral-Sensory) approach to feeding. SOS groups are run at our Mornington Office.